Looking for an easy way to help people affected by Hurricane Florence? 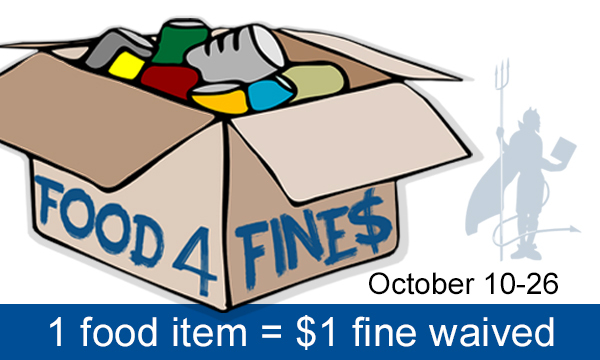 From October 10-26, you can exchange “Food for Fines” at the Duke library nearest you. For every unopened, unexpired, non-perishable food item you donate, we will waive $1 of your library fines (up to $25 max). All libraries on East and West Campus are participating, and it doesn’t matter which library you owe fines to. You can drop off your donation at the library of your choice, and we’ll apply it to any library fines at any Duke library. Donations will be collected and distributed by the Food Bank of Central and Eastern NC. The Food Bank serves a network of more than 800 agencies across 34 counties in Central and Eastern North Carolina, including soup kitchens, food pantries, shelters, and programs for children and adults. You can also donate non-food essentials for infants, kids, and seniors, such as diapers, wipes, cleaning products, and paper towels. 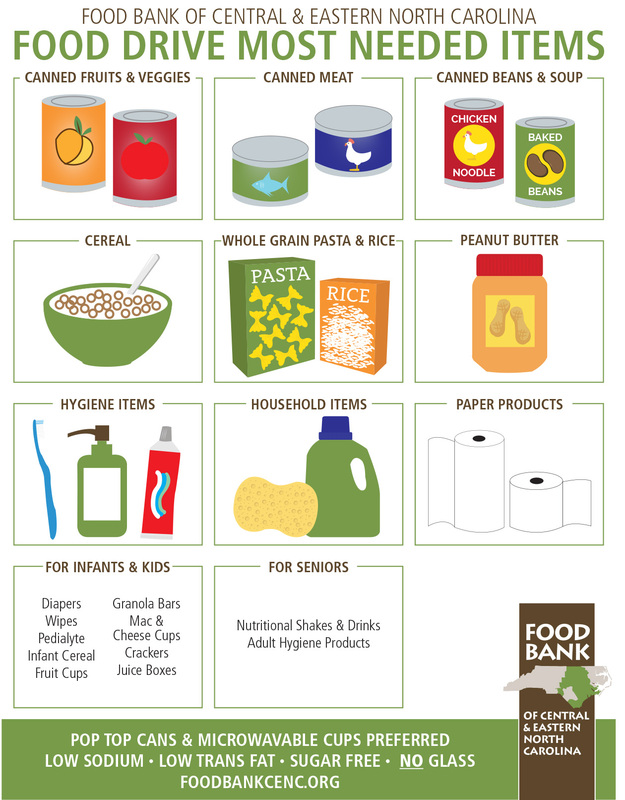 The chart below lists the items currently needed most. No library fines? No problem! You can still donate and help North Carolinians in need. Limit $25 in forgiven fines per person. Any fines already paid or transferred to the bursar cannot be waived. No expired food items or glass containers, please. Waived fines only apply to late fees. Charges for damaged or lost books cannot be waived. All Duke libraries will waive fines for other Duke libraries. For example, if you owe $5 to the Law Library, you are not required to drop off your donation at the Law Library. You can visit any library on East or West Campus and your Law Library fines will be waived.